The world’s finest hotels and resorts will usually select a mattress with a premium Eurotop. Luxury mattresses with handcrafted tufting ensure the longest lifespan. Modern resorts are upgrading to cooling gel infused memory foams. That memorable soft yet supportive bounce is from the natural latex layer. Luxury properties select hybrid mattress builds as they feature individually wrapped pocket coils for isolated support and reduction in motion transfer. Whether it’s the alps, an opulent Paris neighborhood, or even sunny Jamaica, the idea of a luxury hotel conjures images of white sheets, soft lighting from high windows, and tiled bathrooms. — you know, luxury. The biggest way that these hotels set themselves apart is by having the most comfortable hotel beds. It’s true. The most comfortable hotel beds are the hottest commodity for destination vacation spots, a little touch of home even when you’re out traveling the world. So what are these hotels looking for in their comfy beds? Box spring? Innerspring?A good blanket? What does it all mean and where do we start? It can all feel so overwhelming. 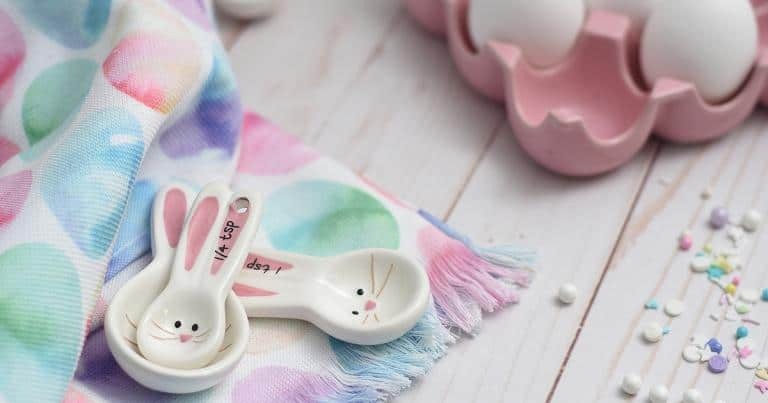 For starters, they are looking for high-quality materials. From memory foam, to boudoir pillow, to top-notch bedding, every part of the most comfortable hotel beds are designed to get you relaxed, in total comfort, and, most importantly, sleeping like a baby. Often you may notice that the bed height is much taller because of the multiple layers needed to create the best sleep. These are comfy beds that feel perfect, no matter your sleeping position — whether you’re a side, stomach, or back sleeper they’re sure to please. Not only that, they’re designed to support and comfort you, holding their firmness while being just soft enough to lull you to sleep. There’s no mattress more coveted by luxury hotels than the DreamCloud. It’s a great bed that from top to bottom is designed to give you the best sleep experience you’ll find. We’re here to peel back those layers and give you a little insight into how the DreamCloud does it. Here are the trade secrets of the most comfortable hotel beds in the world. The first layer (after bedding, sheets, and linens, obviously) is the cashmere eurotop. 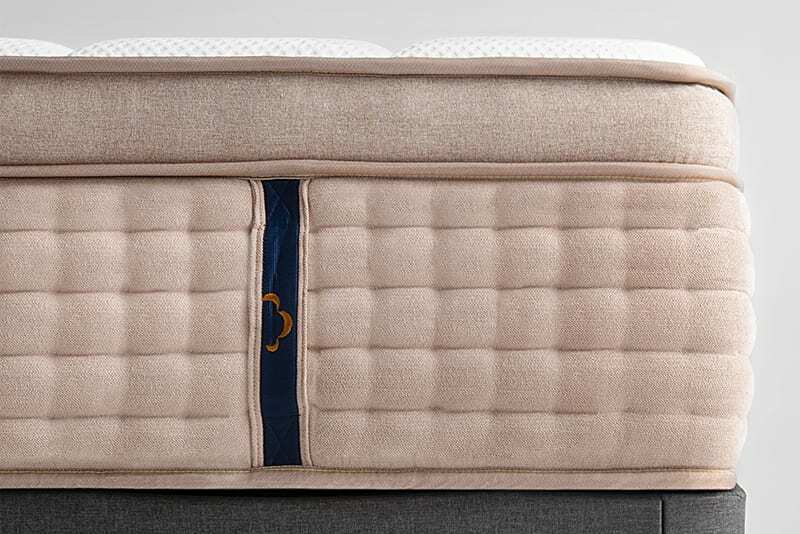 If you’re unfamiliar with a eurotop, it’s basically a pillowtop that is designed to be sewn flush with the mattress, creating a uniform appearance that promotes an even sleep, and isn’t as prone to bunching as other tops. While pillowtop is evocative of pillows, a hallmark of cushy comfort, eurotops mix comfort and support in perfect amounts. Better than a traditional mattress pad or duvet, DreamCloud goes the extra mile by using cashmere with their eurotop, a premium material that’s as soft and dreamy as the sleep you’ll get. It promotes breathability, guaranteeing that you’ll never overheat or experience those gross night sweats in the summer. Pillow-top mattresses are also considerably less durable than eurotops, which use premium foam to promote a perfect night’s rest, every single night you own it. Eurotops are the wave of the future, showing that luxury and sustainability can go hand in hand — especially on a great bed when paired with awesome pillows. It makes sleeping a beautiful, airy experience. Tufting is a funny word, right? It’s a word you’ll hear a lot when you’re looking up premium foam mattresses. So what exactly is tufting? It’s the process of compressing materials to make sure that they perform well over a very long period of time. In the case of mattresses, this typically means bonding the memory foam and all the other layers to give you a great sleep. Many mattress companies skimp on this because tufting is a super time-consuming process — especially when you do it by hand. It’s supremely important for sleeping though, your sleep quality won’t dip as the mattress ages because it can retain its shape for a much longer time. DreamCloud uses hand-tufting as opposed to machine tufting to create the world’s most comfortable hotel beds. 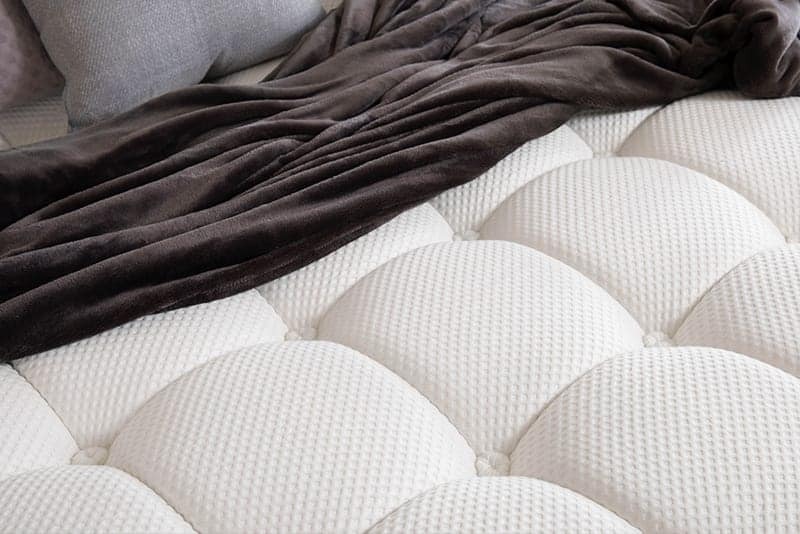 Hand-tufting is especially effective in making comfortable mattresses, previously exclusive to traditional innerspring mattresses because it makes sure that the tufts penetrate every layer of the mattress. It’s a mark of quality and luxury that ultimately translates to a perfect night sleep. This is the secret sauce that makes the DreamCloud so amazing. You’ve probably heard a lot about memory foam if you’ve done any research on comfy beds, but it might not be clear as to how they’re different. Basically, gel memory foam is regular memory foam which has had gel microbeads mixed into it. This process makes gel memory foam better able to regulate sleep temperature while also increasing the density of the mattress. It’s next generation foam that feels familiar, yet won’t ever give you the sweaty qualities of older memory foams. It’s designed to wick away heat and keep your temperature cool so that you can get the best sleep every single night, no matter what the weather is like. It’s time to feel refreshed again. 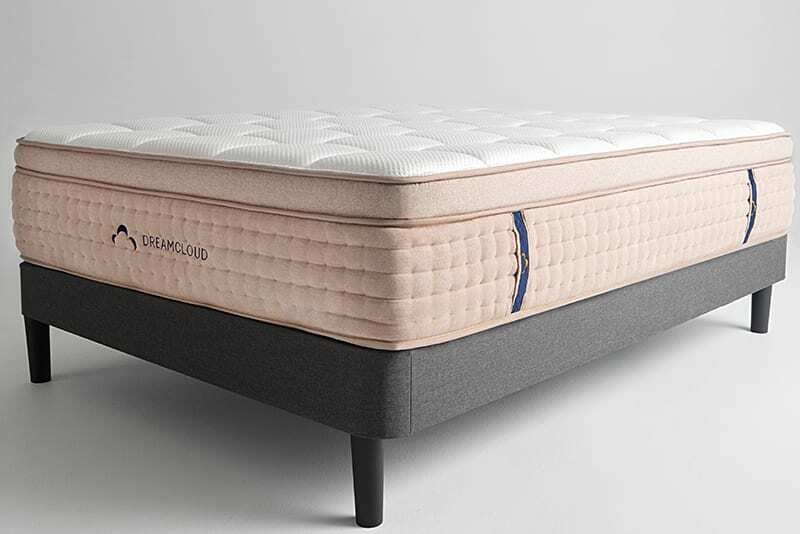 DreamCloud uses a soft quilted memory foam for its next layer, this is more in line with traditional memory foams, which create pressure point relief on the body. This works by the soft quilted memory foam contouring to your shape, which can aid circulation and prevent bending in bed which can damage soft tissue that’s caught in the middle. The pressure-relieving benefits are used to promote health and wellbeing. Soft quilted memory foam is typically allergy friendly, which might not always be the case with traditional hotel mattresses, especially if it’s found in a less luxurious hotel chain. Natural latex sounds like an oxymoron, but it’s not. The inclusion of natural latex in latex mattresses is done by using the natural material of rubber sap or serum in a sustainable process — not too different than harvesting maple syrup. That means that you aren’t getting the harsh, artificial chemicals that can be rough on your skin. It also makes the DreamCloud mattress even more breathable and promotes temperature regulation over other artificial latexes. Natural latex can help with allergies as it is dust mite, mildew, AND mold resistant. It’s a perfect example of how starting with the best base materials can make all the difference when you’re building the most comfortable hotel beds. 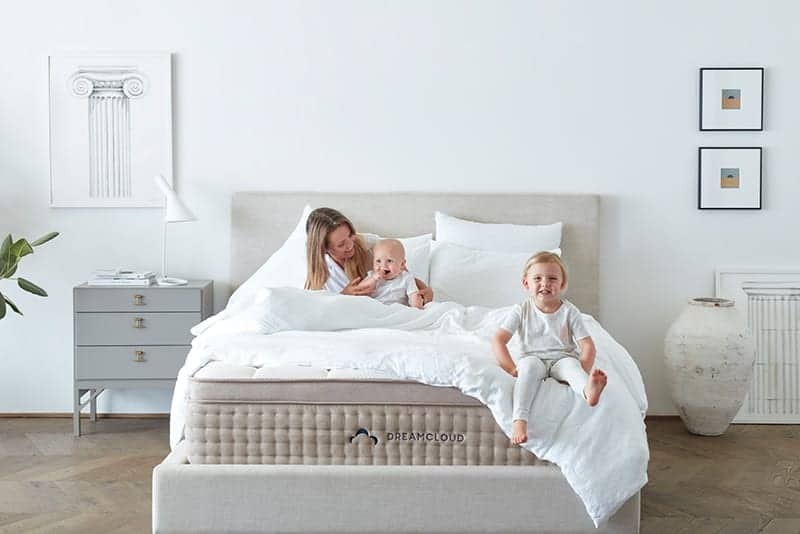 These are comfy beds that don’t just stop at the use of foam, they make sure that from the bed frame to the eurotop, you’re getting the exact right materials to get you sleeping like a baby. That’s why luxury hotels go to DreamCloud first. When talking luxury hotel mattress materials, this is the OG that makes it all go together. Memory foam was designed in the 60s by NASA for its astronauts to sleep on. Since then, it’s gone through many iterations, but basically, the gist of it is the same — bedding that contours to your body, that supports while it comforts. It’s the perfect mix of softness, comfort, and firmness that leads to great sleeping, and has been a huge part of the memory foam revolution that has taken the bedding industry by storm. This foam is breathable, but its strength is definitely in the sleep experience it gives. After one night on memory foam mattresses, you’ll feel the difference, but after a hundred night’s sleep, you won’t be able to do it on anything else. The DreamCloud is a hybrid mattress, meaning that it also has elements of innerspring mattresses too. A spring wrapped individually in a fabric sleeve, pocket coils can react to pressure independently instead of all at once, which can help minimize movement and creates a buoyant feeling — whether you’ve got king beds draped in linens, or a single that’s stuffed into your apartment, you’re sure to be sleeping well. Pocket coil beds are preferred by luxury hotels because the use of them helps reduce partner disturbance, they won’t be able to feel you tossing and turning as the pocket coils respond individually to pressure. They also don’t sacrifice support, by continuously creating pockets of support to fill the gaps that may happen because of your sleep position. These coils are also more durable than traditional spring mattresses, which can bend and conform as individual springs wear out. These also have the benefit of creating air flow through the bed, a comfortable sleeping environment that is better than just the use of memory foam alone. That’s why the DreamCloud went with a hybrid mattress, it promotes the best of both worlds — and ends in a good night’s sleep. This is where you can see how the technology of mattresses has really improved over the years. 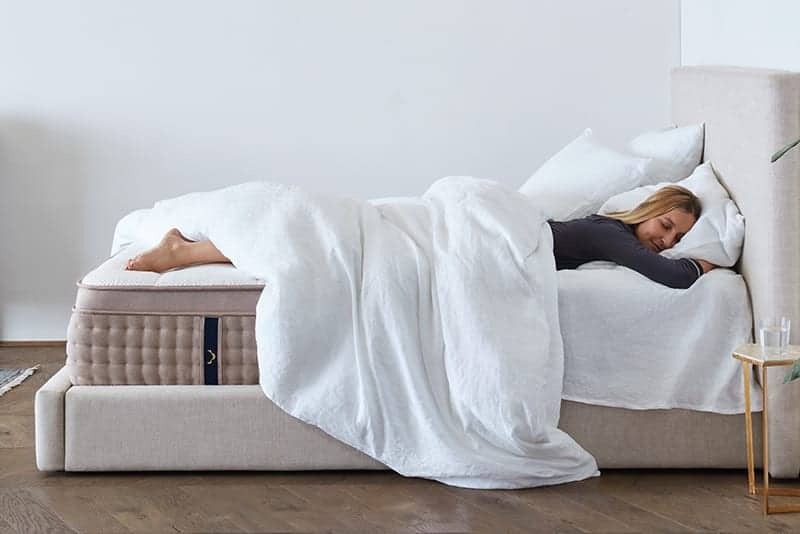 High-density memory foam has become the standard bearer for materials used in luxury mattresses as it is super-durable, comfy, and leads to better support. You may be asking why is density so important in a mattress? 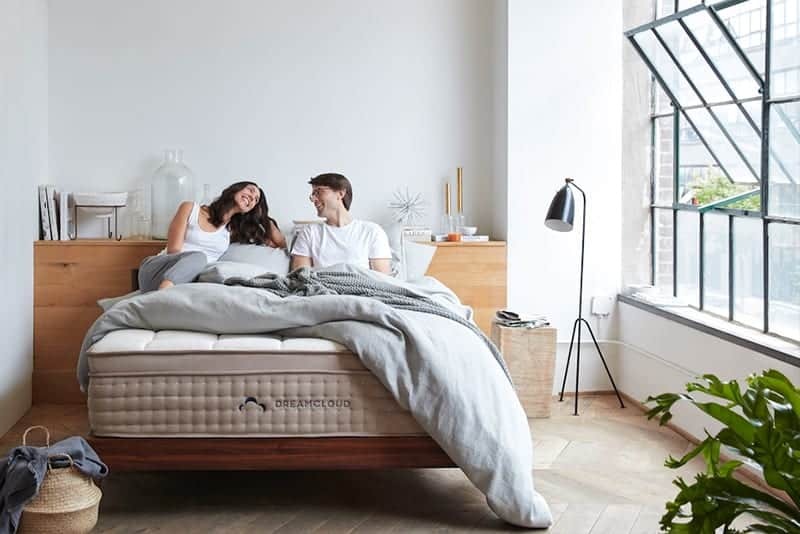 Well, it’s not exactly about firmness, it’s about quality and durability, making sure you get a great night’s sleep every night no matter what. Using a higher density memory foam means that the mattress will keep its shape over years of use, where lighter lower density materials may wear out sooner. Basically, though some definitions vary, anything more than six pounds per cubic foot is considered high density. This is truly the building block of great sleep and is a hallmark of the luxury mattress. When you put all these ingredients together, you can see why luxury hotels prefer the DreamCloud. It’s the perfect mix of comfort and support. The good news? Now you can find out for yourself how good your sleep can be with this hybrid mattress. Grab your best bedding, bed linens, and set of pillows and get ready for a life-changing, good night’s sleep. Mattresses and bedding like peanut butter and jelly — technology has never felt so good.